If you are a certified organic farmer or business owner, please consider printing and filling out the proxy letter below. If you return it to Cornucopia, we will send it on to your certifier along with proxies from other farmers who share your certifer. integrity and reputation of the organic label in the eyes of my customers. 1. Instead of standing with other members of the accredited certifier trade group, I ask that you be transparent with Cornucopia researchers by filling out their survey and having an officer of your organization sign and stand behind the representations you make. 2. If you have certified any dairy CAFOs please institute a moratorium on certifying any with a stocking density of more than three cows per acre, any fields that are counted as “pasture” that are planted with annuals in desert-like climates, any operations milking more than two times per day, and any dairies that bring in cattle that were not managed organically from the last third of gestation as the regulations clearly require. 3. If you have certified any egg laying operations that substitute an enclosed porch to meet the legal requirement for “outdoor” access, I ask that you place an immediate moratorium on certifying any additional operations of that nature. The law states that all organic livestock must have access to the outdoors. In addition, hens in most of these aviary systems cannot access the outdoors. 4. 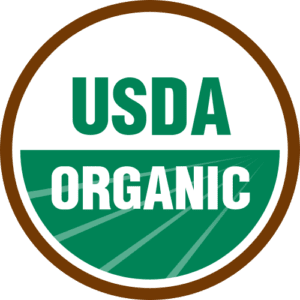 The Organic Foods Production Act and the federal regulations both clearly require careful soil stewardship as a prerequisite for organic certification. If you have certified any hydroponic operations, you should immediately implement a moratorium on certifying any produce that does not have its roots in the ground (with the exception of sprouts and other similar vegetables and plants, seedlings, or culinary spices that are sold in their initial containers). It is critical that ethical certifiers breakaway from their unethical peers that skirt the rules and diminish the value of the entire industry for their own personal gain. These are simple requests and certainly not anything radical. Managing livestock with a more humane level of welfare has always been part of organics. 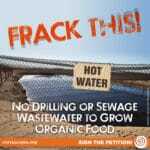 And the mantra “feed the soil not the plants” has been a foundational precept of organic growing since the movement was formed. 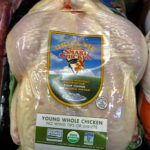 Please side with my family and the other ethical farmers, ranchers, and growers whose livelihoods depend on the reputation of the organic label. Click here to download the proxy. Gut Wrenching! 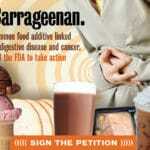 Tell FDA to Ban Carrageenan. Common Food Ingredient Linked to Intestinal Inflammation, Bloating, Irritable Bowel Syndrome, Colitis, Cancer and More.